Kadima members demand Dep. Min. 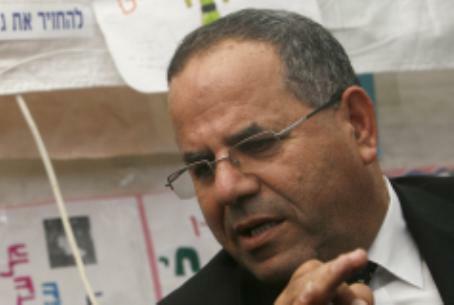 Ayoub Kara be fired for visiting 'Nazi' Austrian party. Kara calls the critics populists. Three members of the largest opposition party, Kadima, fired a verbal fusillade Friday at Deputy Minister Ayoub Kara (Likud) for visiting Austria at the invitation of the country's Freedom Party. MK Shai Hermesh, who also heads the Israel chapter of the World Jewish Congress, called on Prime Minister Binyamin Netanyahu to fire the deputy minister, explaining, "I am shocked by the legitimization that the government of Israel is giving to a neo-Nazi party." He called the visit "an unbearable act that must not be allowed to pass," insisting that Netanyahu must not just scold Kara as "lip service" but dismiss him outright. MK Nachman Shai said Kara was acting like "a bull in a china shop" and accused him of causing "serious damage to Israel and the Jewish people." MK Majali Whbee - a Druze, like Kara - suggested that the attempt to connect with the European Right is the result of government policies that have turned Israel into "a leper in the world" and force it to look for friends "at all costs." He called Kara's visit "shameful." Kara stated in response: "It is regrettable that populist Knesset members go on the offensive without checking the facts and without having a clue regarding the people whom the deputy minister met with. Does the holding of a ceremony for the memory of the victims of the Holocaust hurt Jewish feelings?" Kara said that the Freedom Party was the only one in Austria that supported Israel following the Gaza flotilla incident and that condemned calls for a boycott of Israel, "while the socialist parties proposed a general boycott of Israel." "Does this mean that this is a Nazi party? ", he asked rhetorically. "Its platform says that it is based on the Judea-Christian heritage - is that a Nazi party?" The New York Times reported on the controversy in Israel Wednesday, quoting Arutz Sheva's exclusive report on the debate and featuring Arutz Sheva TV's video coverage of a visit by right-wing European leaders to Judea and Samaria earlier in the month. That visit led to Kara's reciprocal visit to Austria last week. David Ha'ivri, who heads the Samaria Foreign Liaison Bureau, told Arutz Sheva that he hoped to "cause a shift in the European nationalist movements, moving them away from their traditional Jew-hatred, a tradition they share with other European parties, and bringing them closer to appreciation of Zionism." "I don’t think that I am naive to feel that this is a revolutionary opportunity," he added.